Medical marijuana is offering relief to thousands of New Yorkers suffering from a range of serious ailments, from addiction and chronic pain to Parkinson's and PTSD, but how well do you know your weed? Cannabis products can also have vastly different effects - good and bad. WBFO's Marian Hetherly concludes our special series, "The Path to Pot." "What I like about the marijuana - believe it or not - I do not feel doped up all the time. I actually feel less sleepy and more alert than the other opiates, which I also take," Bernadette said. Bernadette is 54 years old and has advanced-stage cancer. She receives at-home hospice and her doctors at Roswell Park have exhausted their pain protocol, trying to control Bernadette's chronic pain. For about the last year, she has been getting significant relief from medical marijuana. 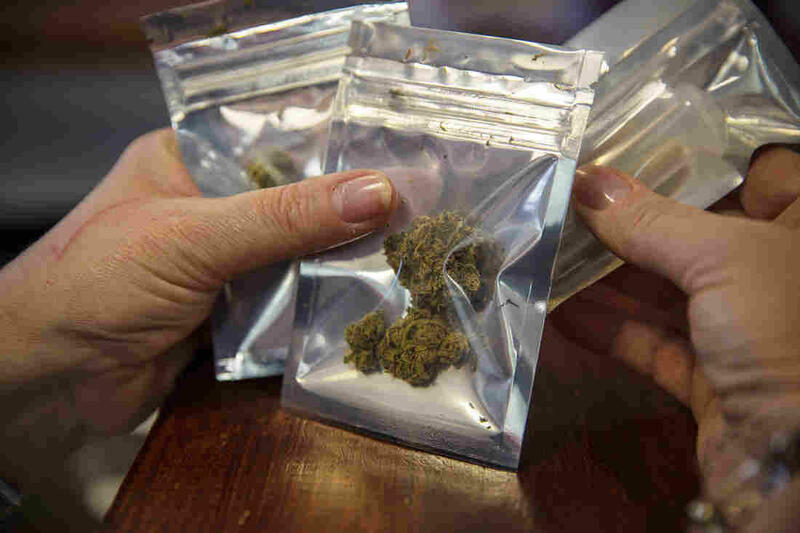 Medical marijuana is providing thousands of New Yorkers with relief from their ailments. "I'm very cognizant of dying. (The marijuana) makes me feel more relaxed and all of the other pills just make me feel kind of dopey and out of it," she said. "It's probably about $200 a month and, quite frankly, I would not be able to afford this if I didn't have somebody who covers the expense for me or I would take a lot less, rather than what's prescribed me." "I would highly recommend it. I can't imagine not doing it now," said Diane. For years, Diane has suffered with chronic pain from migraines and fibromyaglia. At 61 years old, she has "tried everything" for relief, even traveling to Chicago to have a spinal cord stimulator implanted to help block the pain, with not much luck. Then about nine months ago, her pain doctor certified her for medical marijuana. "My fibro pain has diminished at least 50 percent or even more," she said. "The migraines, I have days that are like a pain level is 1 or 2, rather than 4 or 5, out of 10 and it keeps getting better." The key, she said, is getting the right ratio of THC (Tetrahydrocannabinol) to CBD (Cannabidiol). It's the THC in marijuana that's used mostly to relieve pain - and yes, it gets you high - while CBD is prescribed mostly to control inflammation and has no high. "I have a high-CBD tincture that I use twice a day and then I have a higher-THC tincture I take when I have a migraine," Diane said. "The tinctures go for like $60 a bottle. So if I go through two bottles - well, I might go through three bottles a month - so that's like $180, right there." "The medicinal marijuana will have a 5-35 percent THC ratio, whereas (CBD) can't contain more than 0.3 percent of THC," said Nurse Practitioner Donna Reese. Reese said she has been able to get patients off opiates in a month or two by switching them to medical marijuana and you cannot overdose on marijuana. She certifies about 15-20 patients a week for use. "In order to get the CBD effectiveness, you have to have the medical marijuana portion of it, because it doesn't come from the seeds and the stems. It comes from the plant itself," she said. "So they're grown differently, they're cultivated differently." 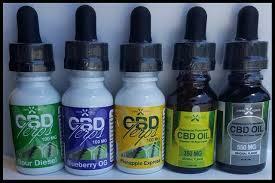 There are many varieties of CBD products. CBD reports many fewer side effects than THC and is available without a prescription at retail outlets or online and without registering with the state, so its popularity has been growing quickly. However, there is no standardization among CBD and THC products unless they are purchased at a dispensary. There are three in Western New York - all in Erie County - and they accept cash only. "I can give the patient the ratios that I want them to have or I can defer that to the pharmacist after I've given them the certification," said Reese. "If I give them a prescription that says, 'pharmacist to dispense,' then he can help them get the product that's right for their condition." "They're highly trained with the product they're dispensing," said Diane. "I mean, you walk in there and every person behind a desk knows their products." Diane buys her CBD and THC products from a dispensary. New York State allows a registered caregiver to buy Bernadette's products for her. Still, like any drug, marijuana comes with cautions. "Sometimes it causes short-term memory loss. Sometimes it impairs your cognitive ability and if you smoke it and it's going in your lungs, it's going to somehow damage your lung tissue - but not like cigarette smoke." said Doctor of Nursing Practice Nerfis "Neffie" Elminowski. Elminowski is a veteran who used to be a primary care provider until a brain and spinal injury. She said using medical marijuana has allowed her to work a few days a week certifying patients. "I would say it is definitely better than being on other opioids, but it does carry risk of abuse and addiction. Sometimes you have to be careful when you're driving and things like that because you don't want to be under the influence," she said. Side effects also include nausea, vomiting, heart problems and many more. What is really important, Elminowski said, is research on how the drug works in the body. She said the federal government's classification of marijuana as a Schedule 1 controlled substance is preventing that. "That's what's missing, is ongoing research that allows us to find out the mechanism, the function, how it's transmitted in the brain, how it works, things like that - but we know that it helps." After some early confusion on Thursday morning, including whether two local dispensaries would be open for business, New York State's medical marijuana program officially got underway. However, many hoping to access the highly-anticipated drug are still awaiting the required certification to receive it. Governor Cuomo says legalizing the adult use of recreational marijuana is among the agenda items for his coming new term. New York State already has legal medical marijuana, but some raise questions about how legal recreational pot may affect the integrity of the medicinal program. One of the local experts recruited to the governor's work group for crafting legal pot legislation, meanwhile, suggests very little is known about the substance many are in a hurry to make legal for casual consumption.